A fourth win in six matches puts the Warriors on top the Hero CPL table, alongside Trinbago Knight Riders and Jamaica Tallawahs on eight points. 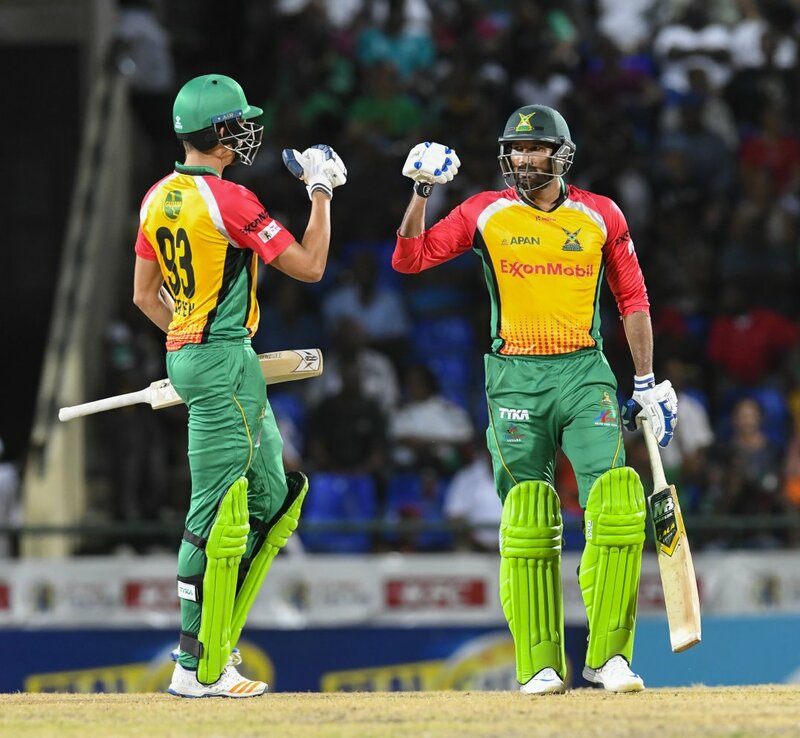 Imran Tahir’s four-wicket burst and Sohail Tanvir’s late fireworks with the bat saw Guyana Amazon Warriors to a thrilling four-wicket Caribbean Premier League (CPL) victory over St Kitts & Nevis Patriots at Warner Park. A fourth win in six leaves the Warriors well-placed at the head of the Hero CPL table, alongside Trinbago Knight Riders and Jamaica Tallawahs on eight points. 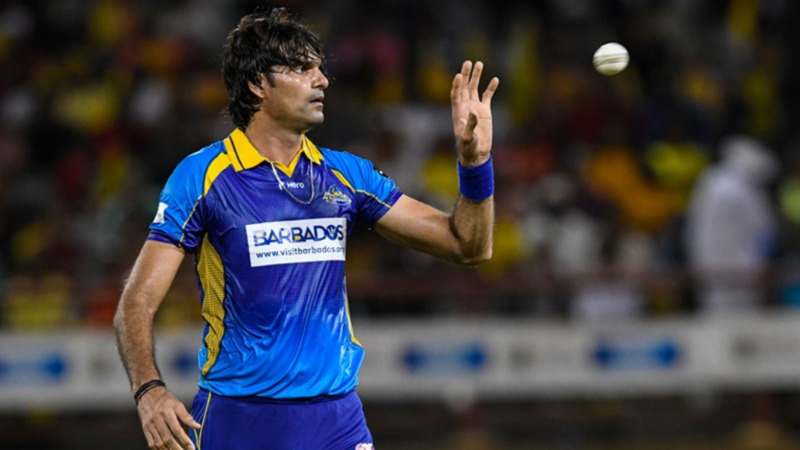 An all-round batting effort in which six men reached double-figures but nobody made more than Tanvir’s 37 not out saw the Warriors overhaul the Patriots’ 168/7 in the final over as the home side were left to rue a wayward bowling performance that gave up 19 extras – 15 of which were wides. Luke Ronchi got the run-chase off to a brisk start with 28 from 16 balls but wickets fell at regular intervals and for much of the innings the Warriors appeared to be behind the pace as Carlos Brathwaite and Mahmudullah produced tight spells and Ben Cutting grabbed one of the catches of the season with a flying one-handed grab on the boundary to remove the dangerous Cameron Delport. Tanvir, though, turned the game brilliantly and decisively Guyana’s way. He has form in the Hero CPL having made an 18- ball 50 for St. Lucia Zouks and teed off here to make an unbeaten 37 from 20 and lead his side home. 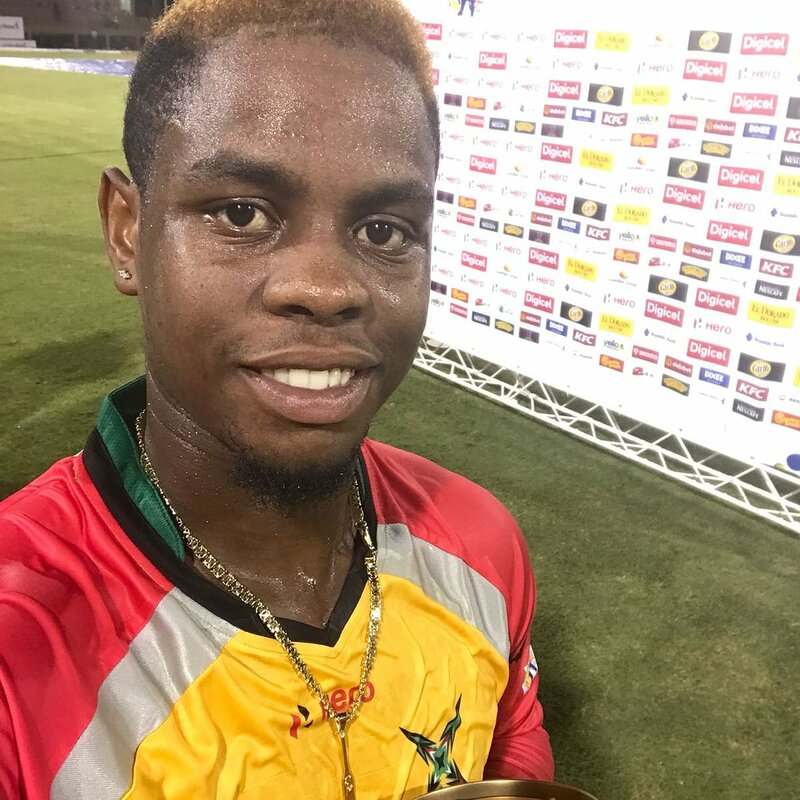 The penultimate over delivered by Sheldon Cottrell proved the key as Tanvir started and finished it with big Hero Maximums over the leg-side to leave the Warriors needing just three more runs from the final over. Despite a couple of nervy dot balls Tanvir and Chris Green scrambled the three singles they needed to get over the line with a ball to spare. 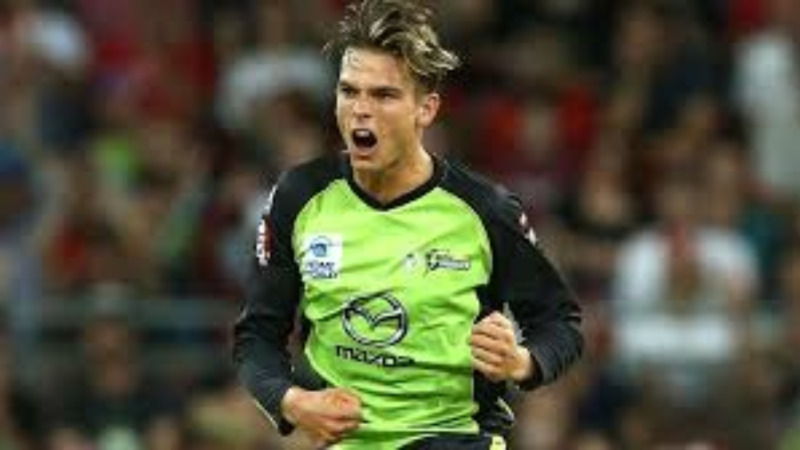 The Patriots had earlier finished with a competitive total in a stop-start innings that leant heavily on Chris Gayle at the start and some lower-order hitting as Tahir dominated the middle overs with a mesmerizing spell of 4/22. Gayle was initially watchful, recording just a single from his first nine balls, but roared into life when a full-toss from Green allowed him to free his arms and launch the first of his three Hero Maximums. The other two followed in the fifth over, bowled by the previously unhittable Tanvir. Gayle added three fours in the over for good measure to more than double the score at 47/0 while also becoming the first man to cross 2000 career runs in the Hero CPL. With new Warriors captain Rayad Emrit’s first over going for 15 - Evin Lewis taking 10 from two balls in a welcome return to form - the Power Play had brought 62/0 despite only 12 runs being on the board after three. The Warriors needed something to change, and it did. Keemo Paul started his spell inauspiciously with three wides well outside Gayle’s off stump, but that line did the trick in the end as the big man slashed a cut to Cameron Delport at point to depart for 40 from 27 balls. That wicket and the introduction of Tahir sparked a collapse from 71/0 to 102/5 that would in the end prove so important. Bowling almost exclusively googlies, Tahir took a wicket in each of his four overs to rob the Patriots of any mid-innings momentum and derail their flying start. Lewis was caught at short third-man for 28, and the first ball after the Carib Drinks break hurried through Brandon King’s defences. Devon Thomas was trapped plumb in front by a big-spinning wrong ‘un before Mahmudullah holed out to mid-wicket. Tom Cooper was lbw to Roshon Thomas for just 9 as Anton Devcich held the middle part of the innings together for the Patriots almost single-handedly with 35 off 24 before falling to Tanvir’s final ball of the night. That left big-hitting all-rounders Ben Cutting and Carlos Brathwaite the final over to attack, a task they approached with gusto. Cutting launched two sixes down the ground before Brathwaite crunched the last ball of the innings back past the expensive Emrit for four, but their efforts would be upstaged by Tanvir’s in the end. Thursday 30 August – St Kitts & Nevis Patriots v St Lucia Stars (6pm), Warner Park.